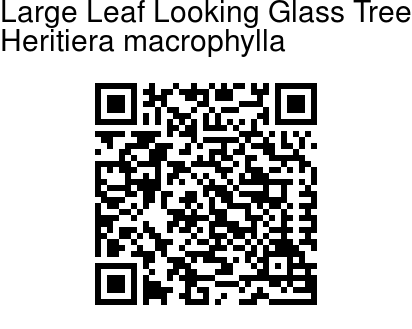 Large Leaf Looking Glass Mangrove is a large evergreen tree forming an umbrella-shaped crown. Leaves are broadly ovate-oblong or elliptic-oblong, 20-30 cm long, young rusty-brown, silvery beneath, with 3-5 cm long stalks. 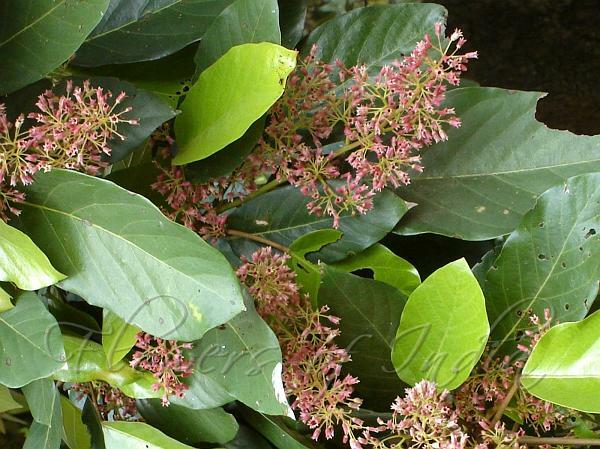 Flowers are unisexual, 3-4 mm across, white-yellowish to pinkish-rose in color, in foot long panicle-like cymes, in leaf axils. Large Leaf Looking Glass Mangrove is a native of India and Myanmar. Flowering: March-April. Photographed at Indian Botanic Garden, Howrah, West Bengal.